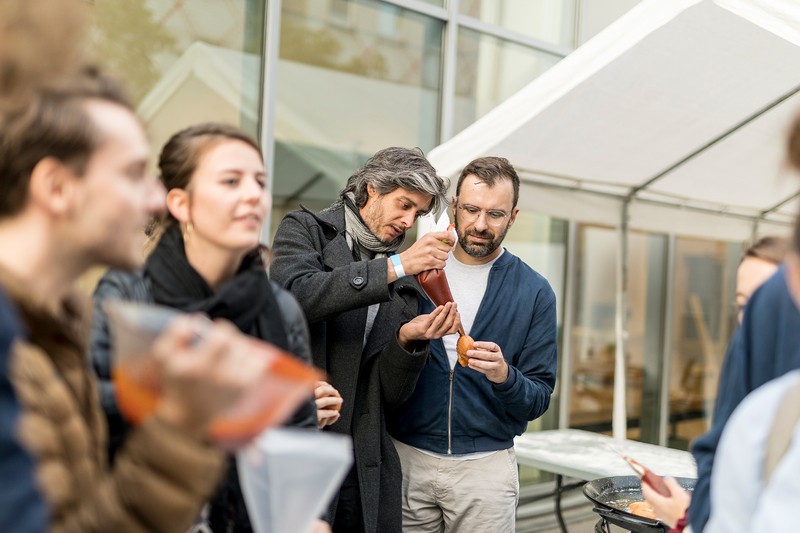 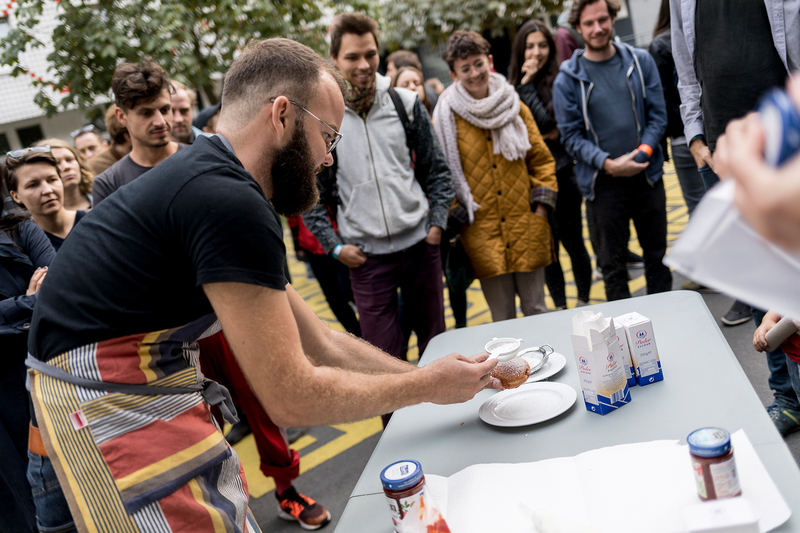 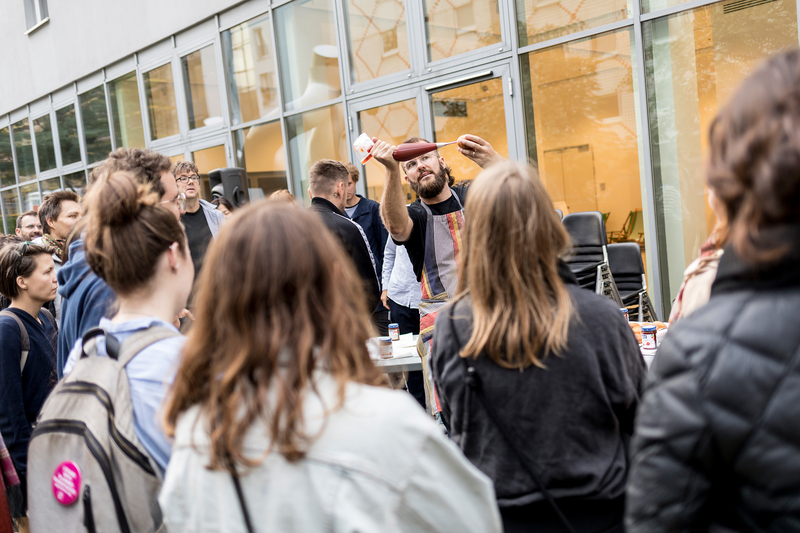 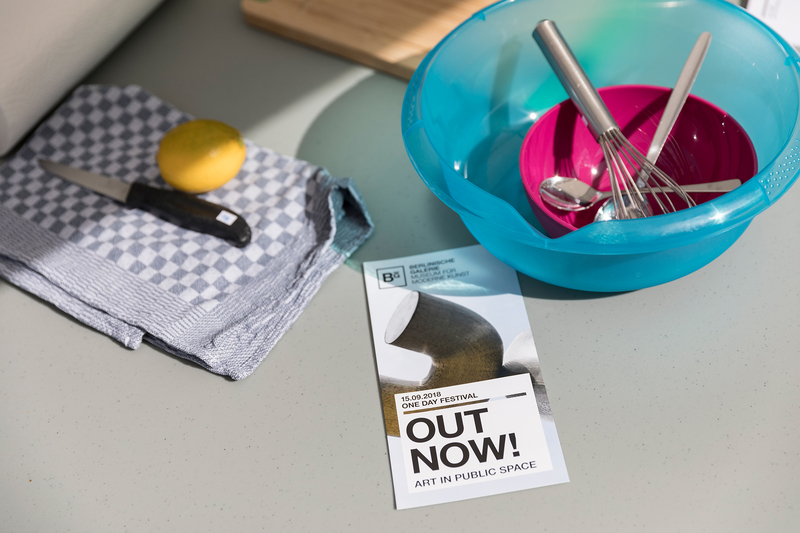 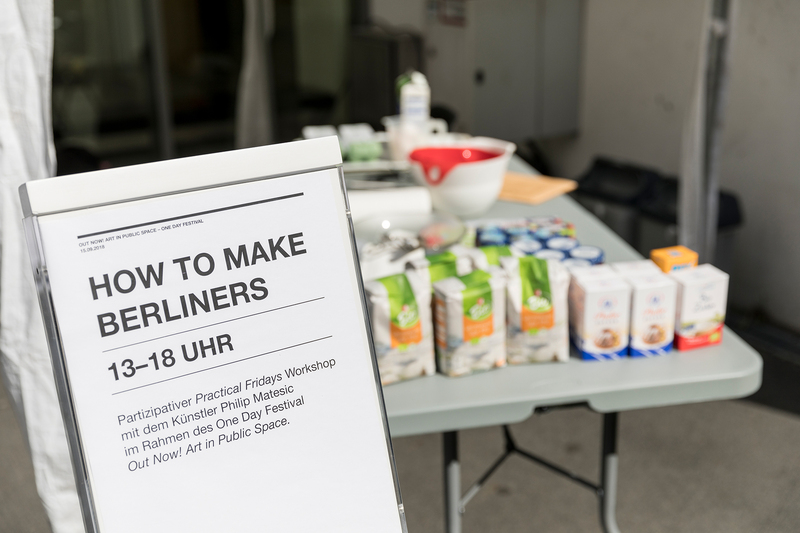 For this international edition of Practical Fridays, Philip Matesic workshopped “How To Make Berliners” at the Berlinische Galerie as part of the one day festival “Out Now! 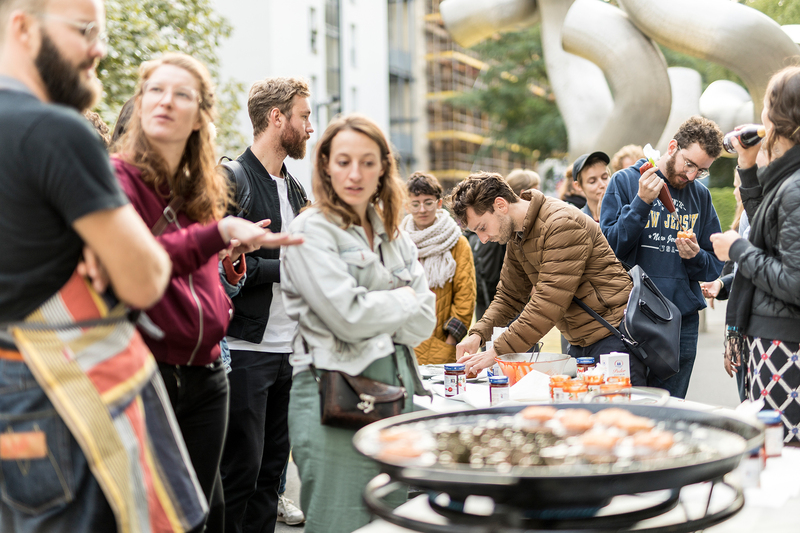 Art in Public Space” on September 15, 2018. 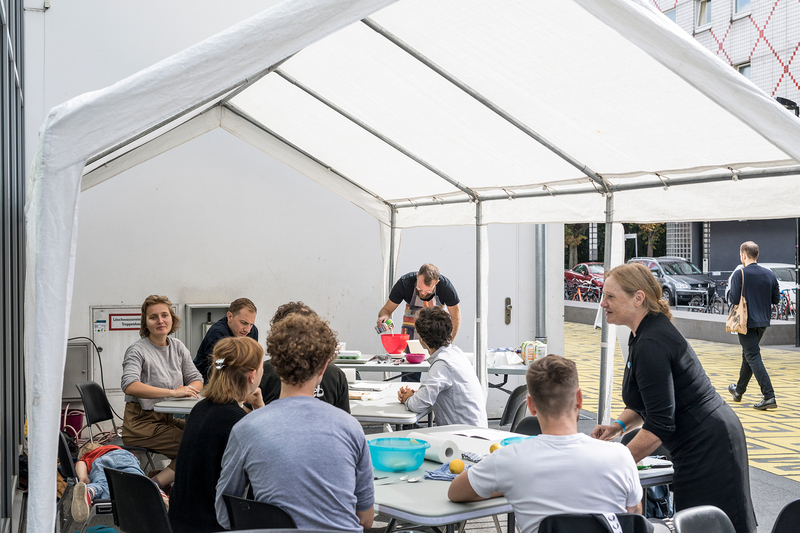 The workshop lasted a total of six hours. 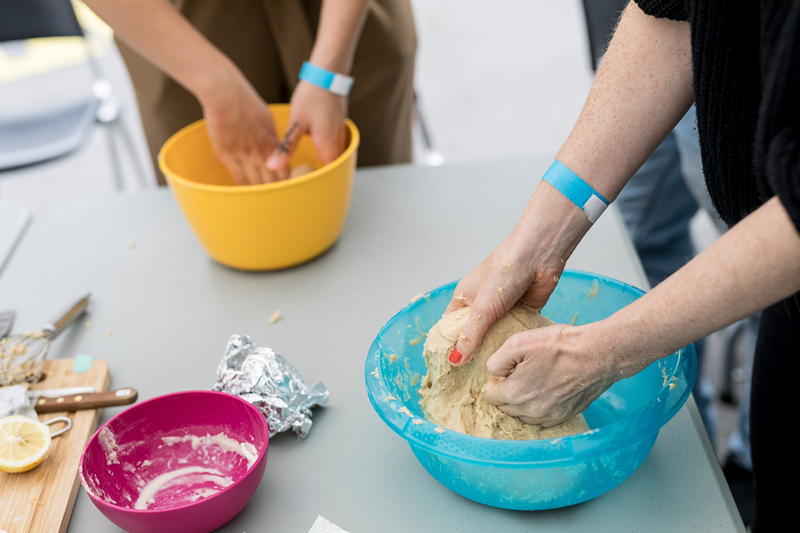 A group of ten participants prepared four batches of dough at the beginning of the workshop. 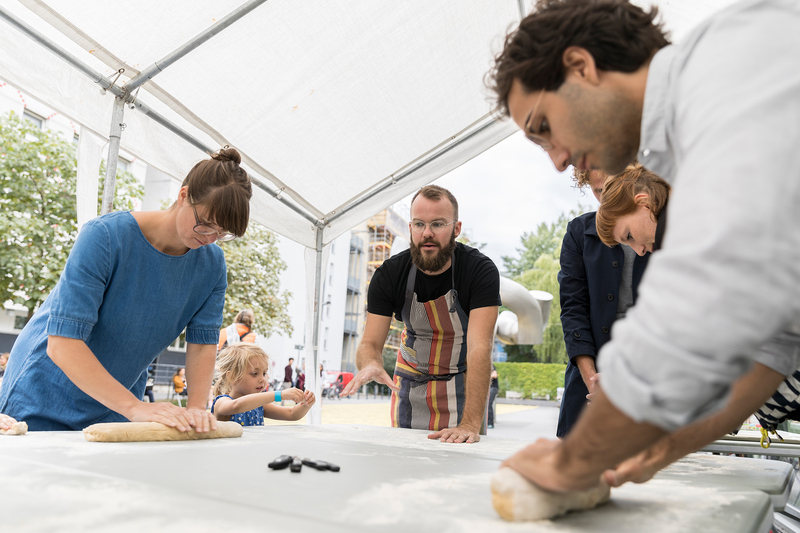 After letting the dough rise, it was then formed by a larger number of participants into the Berliner forms. 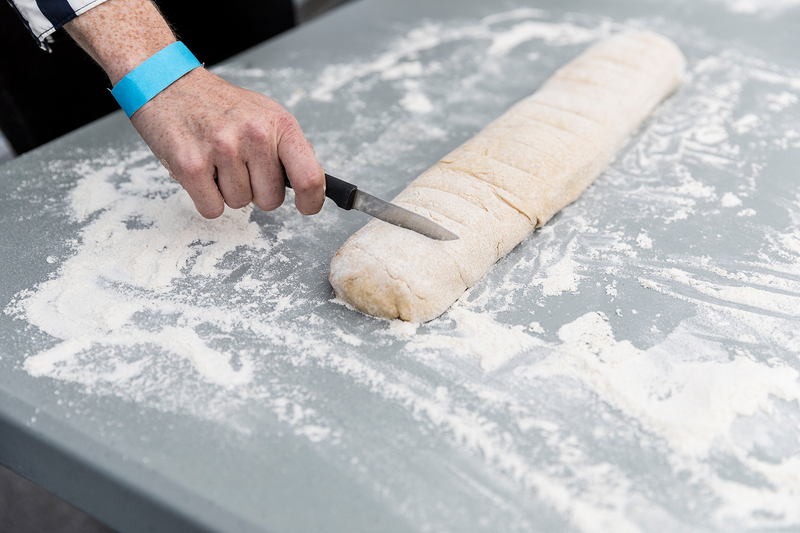 There was then another waiting period for the dough to rise. 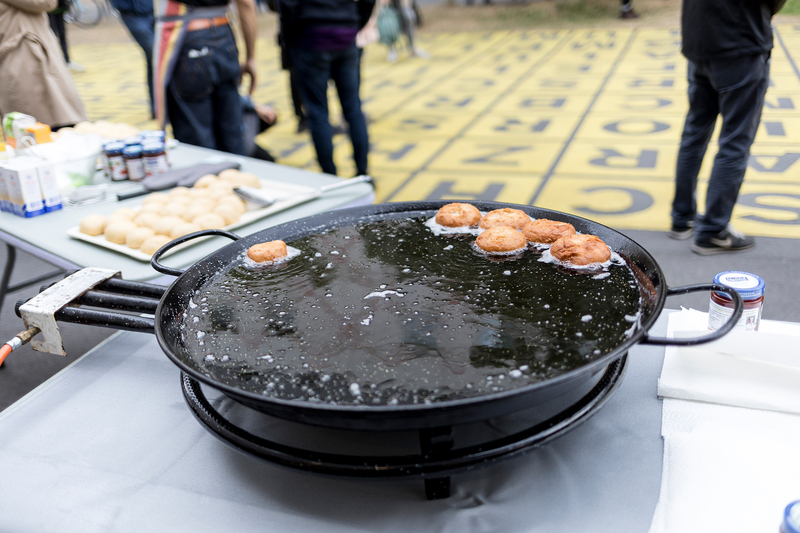 Finally the Berliners were ready to be deep fried. 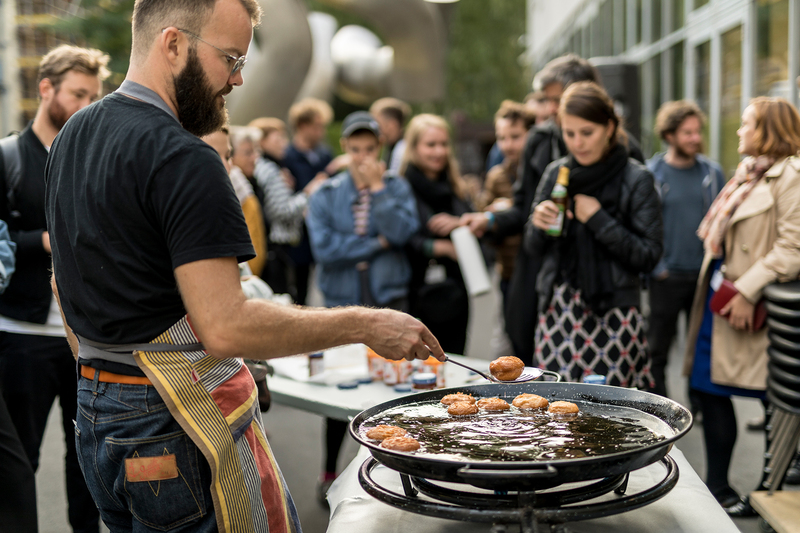 Due to safety reasons, Philip Matesic was the only one allowed to deep fry the Berliners. 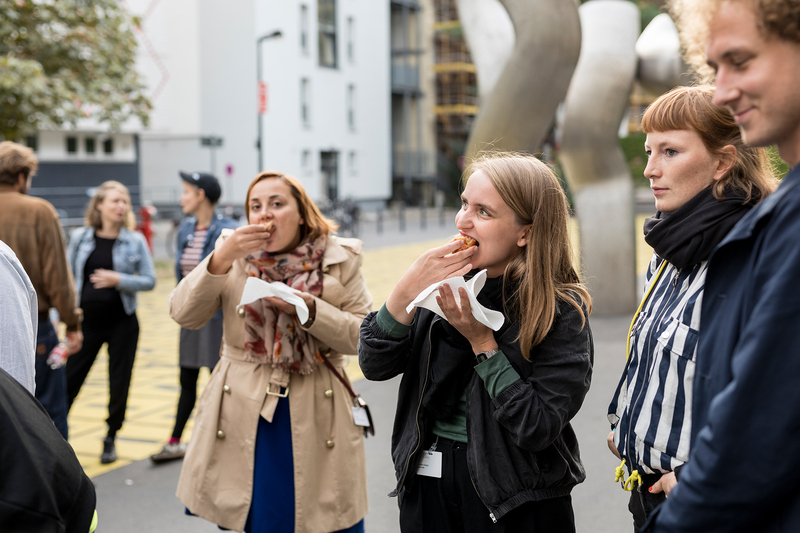 But afterwards each participant who wanted to eat a Berliner was allowed to fill their own with Hagenbuttermark, cover in powder sugar and enjoy. 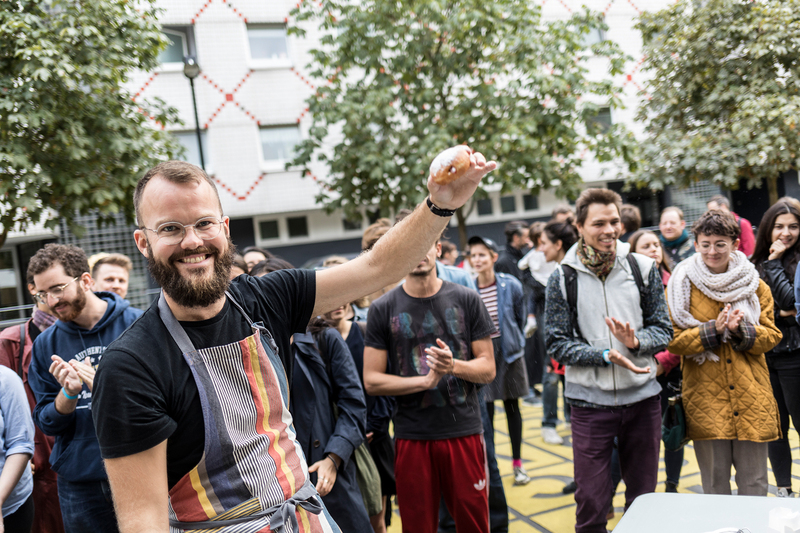 A total of sixty four Berliners were consumed.